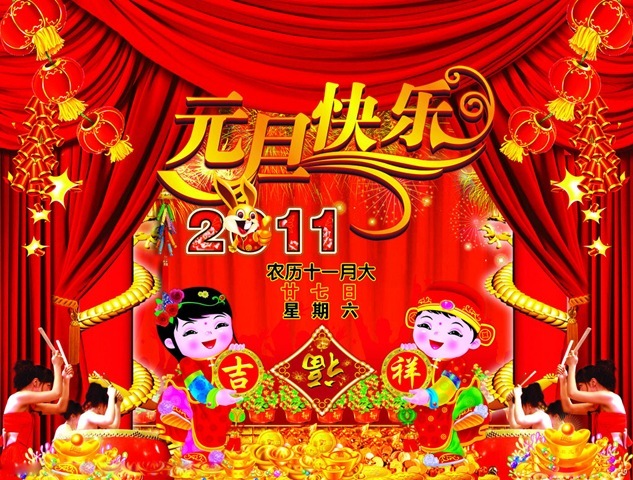 New Year of China has always refers to the lunar calendar (Lunar New Year, the lunar calendar),it usually means the first day of January, is the "beginning of one year", that means to celebrate the New Year . In the Chinese language ,there are different terminologies, e.g. "New Year Day", "the start of this year", and generally known as the "first day." AD 1911, Revolution led by Sun Yat-sen overthrew the Manchu rule and founded the Republic of China. Representatives of provincial military governor met in Nanjing and decided to the Gregorian calendar as "Spring Festival"-the Gregorian calendar on January 1 is called "New Year Day". But there had been no official announcement and naming. The New Year Day is also like the western Christmas day.